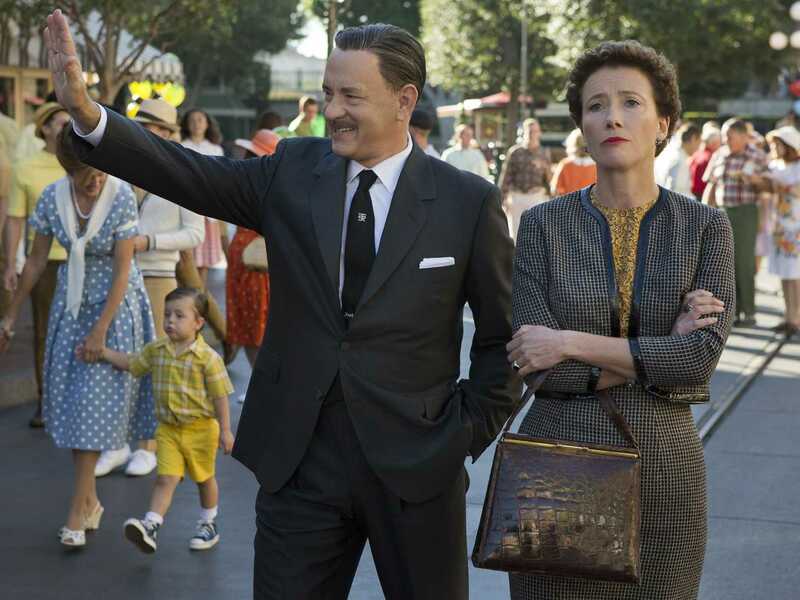 “Saving Mr. Banks” (Point, Eastgate, Star Cinema) — Walt Disney (Tom Hanks) tries to charm a frosty British author (Emma Thompson) into letting him make a movie of her book, which happens to be “Mary Poppins.” Since it’s a Disney movie, I’m guessing he wins? “American Hustle” (Point, Eastgate, Star Cinema, Sundance) — My full review is here. It’s sort of a David O. Russell jam session, as he brings together the stars of last year’s “Silver Linings Playbook” (Bradley Cooper and Jennifer Lawrence) with the co-stars of 2010’s “The Fighter” (Amy Adams and Christian Bale) for this tale of con artists and feds in the 1970s. “Walking with Dinosaurs” (Point, Eastgate, Star Cinema) — The touring animatronic exhibit turns into a kids’ 3D animated movie with Justin Long and John Leguizamo. “The Polar Express” (10 a.m., Point and Eastgate) — Robert Zemeckis and Tom Hanks turn the beloved children’s book into quite the 3D thrill ride, which the older kids will probably appreciate. “The Polar Express” (10 a.m. Point and Eastgate) — See Sunday listing. “The Wolf of Wall Street” (Point, Eastgate, Star Cinema, Sundance) — Martin Scorsese looks like he’s really sunk his fangs into the riches-to-riches tale of shady bond trader Jordan Balfort (Leonardo DiCaprio) in a film that’s being called the “Scarface” of the financial sector. “Mandela: Long Walk to Freedom” (Star Cinema) — Idris Elba plays the recently deceased South Africa leader in this timely biopic. “The Secret Life of Walter Mitty” (Point, Eastgate, Star Cinema, Sundance) — Ben Stiller stars and directs in this tale of a daydreamer who has a real-world adventure in search of a missing photograph. “47 Ronin” (Point, Eastgate, Star Cinema) — Keanu Reeves’ second martial arts film of 2013 (after “Man of Tai Chi”) finds him battling all sorts of supernatural foes with the help of some samurai. “Grudge Match” (Point, Eastgate, Star Cinema) — It’s Rocky vs. Raging Bull as Sylvester Stallone and Robert De Niro play aging boxers going one last round in this sports comedy. “Believe” (Point, Eastgate, Star Cinema) — The latest Justin Bieber documentary probably doesn’t include anything he’s done in the tabloids for the past year.